Every night I watch the stars, because I just know the raggedy man in the blue box will come back some day. 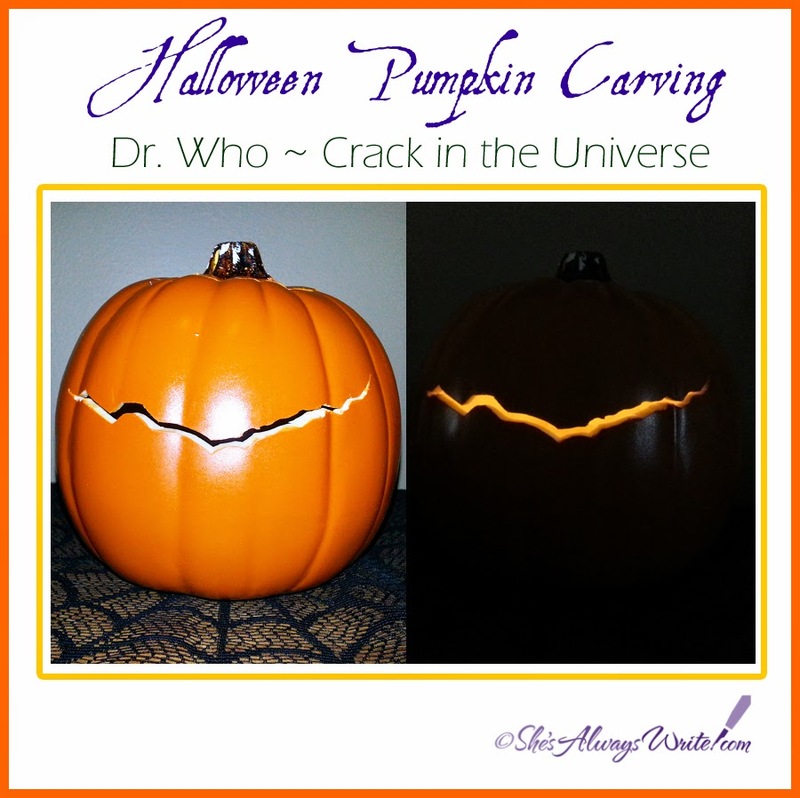 This Doctor Who crack in the universe craft pumpkin is pinned to my Halloween Pumpkin Carving board. I have a minor wreath obsession. I finally decided I need to do more than just collect pictures of them and indulged in making one myself. This isn't a tutorial. There are lots of those. This is more of a Hey, lookie what I did! And I only had to buy totally different sets of supplies twice and change my plans for it three four five a dozen times and tear it apart to start over once! Wheeeee! 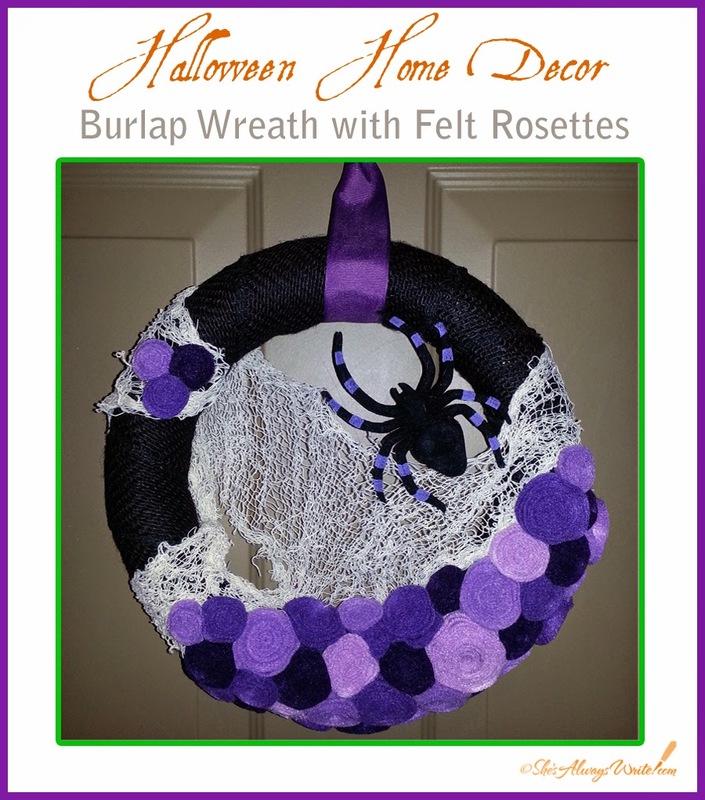 And yes, I totally pinned it to my Halloween Wreath board! I try to do something different on my front porch every year, so I'm always looking for inspiration. 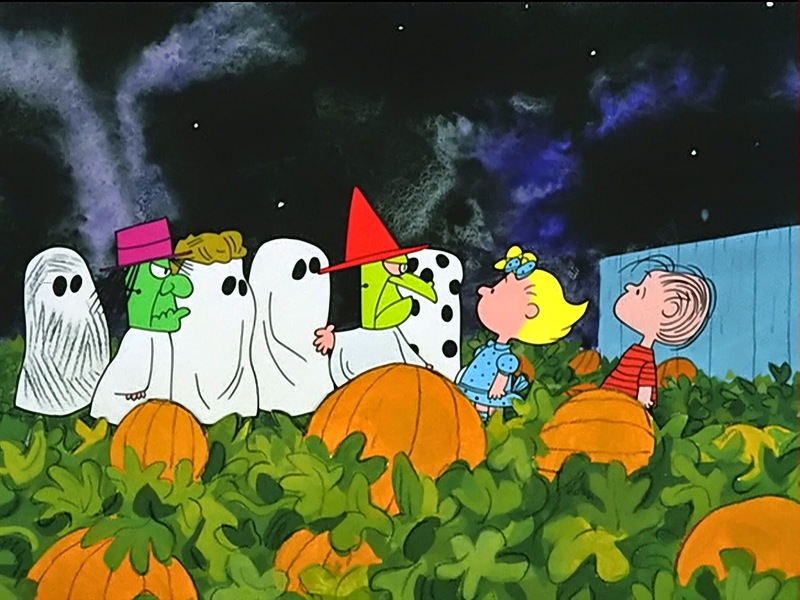 This idea came to me during last year's 4,782nd ritual rewatching of It's The Great Pumpkin, Charlie Brown with my Bear. ... reactions from other folks have been pretty "meh." But I've decided I don't care. Because for whatever reason, it makes me deliriously happy. And this thing with Linus right here? Is currently at the top of my all time favorite Halloween displays I've built. 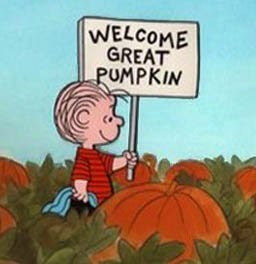 Look for me on Halloween night, waiting in the most sincere pumpkin patch. 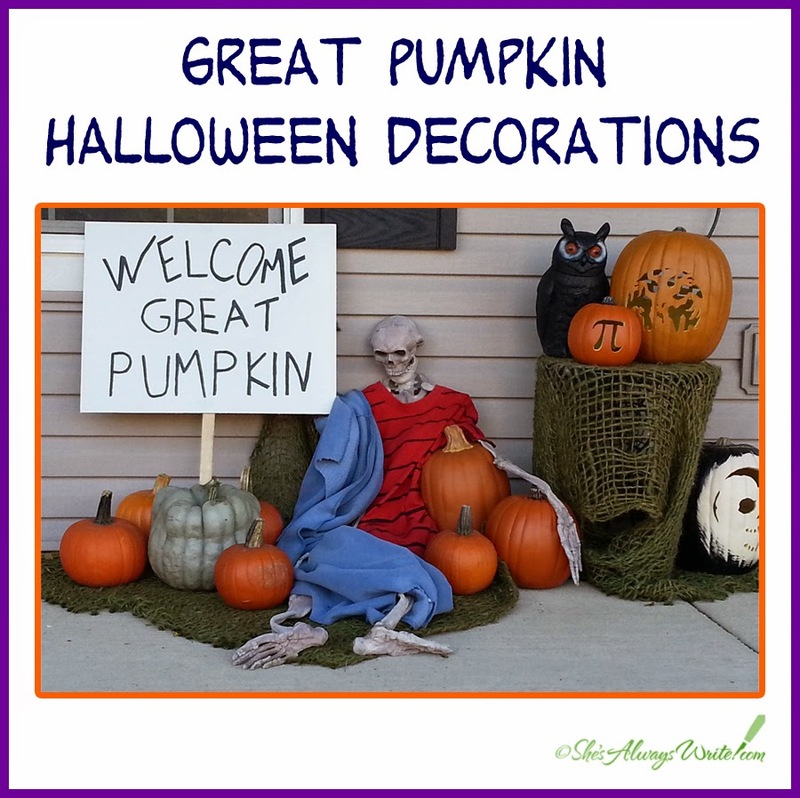 I pinned Linus and the gang to my Halloween Displays board. This cake was the final project for my first cake decorating class. The fall session ended in October and she told us we could do whatever we wanted as long as we incorporated the techniques we'd learned in class, and I'm me, so... there ya go. 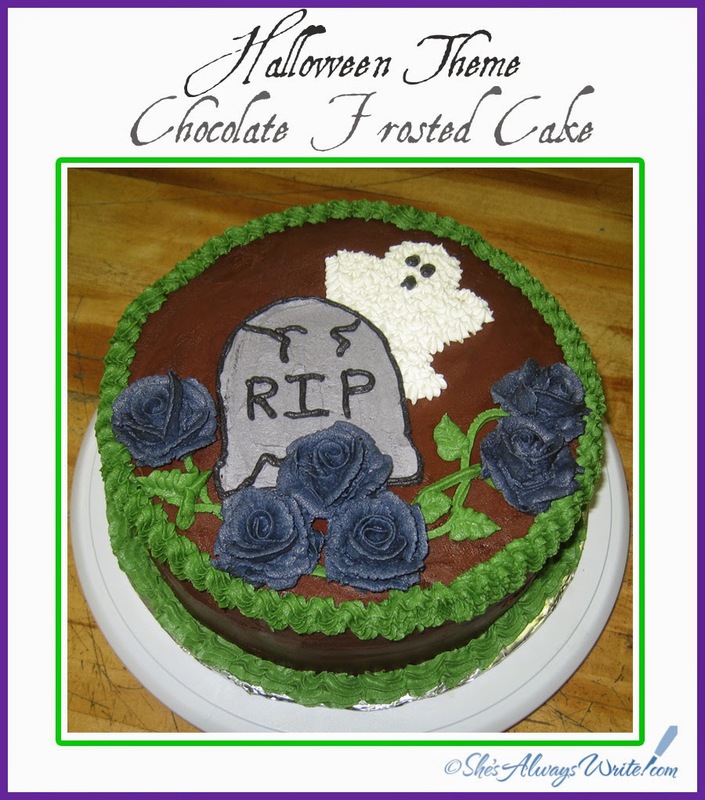 This 9" round yellow layer cake with chocolate buttercream frosting is a classic crowd pleaser that would be the perfect addition to your next Halloween party menu! 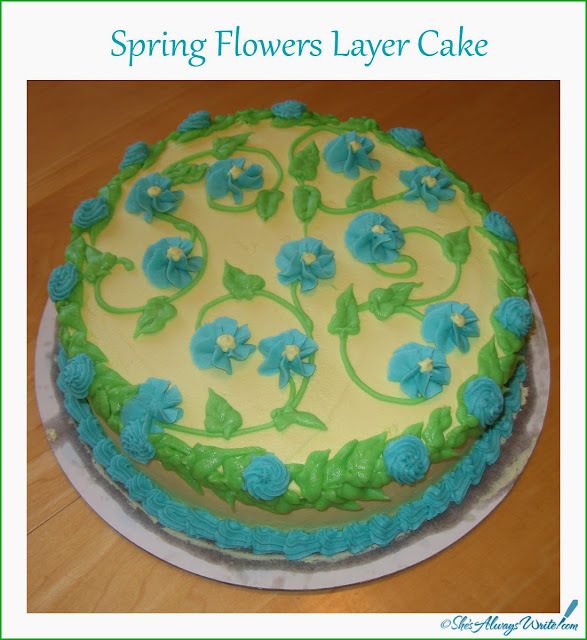 I pinned this post to my Cake Decorating board. 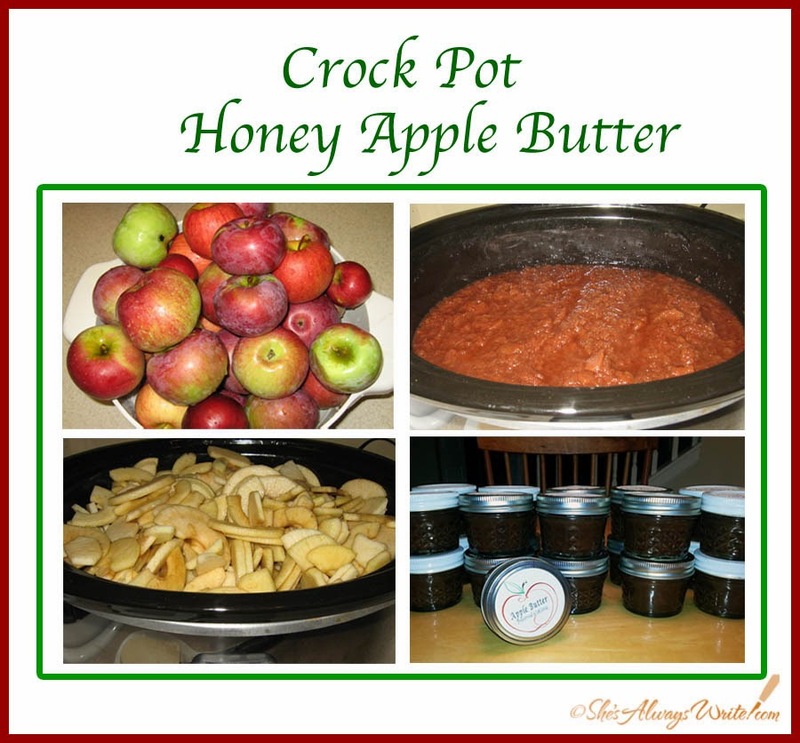 My BFF was part of the original apple butter extravaganza, and when she asked me for a copy of the recipe we developed that summer I pointed her at the blog posts I wrote about it. She read them and very helpfully pointed out that I'm a moron for neglecting to include a concise, printable version. This is me, fixing that. 1) Peel, core and slice the apples. Place them in the crock pot with the rest of the ingredients. 2) Turn crock pot on high and keep an eye on it until you achieve bubbling around the edges. Then turn to low and let it go 8-16 hours (overnight is ideal). Crack lid on crock pot after it’s had time to start breaking down. 3) If smoother consistency is desired, approximately ½ to ¾ of the way through cooking time use a stick blender (for baby food smooth) or potato masher (for applesauce consistency). If rustic chunks are desired, skip this step. 4) Once it has reached the desired consistency, turn off the crock pot and proceed to your preferred storage method. 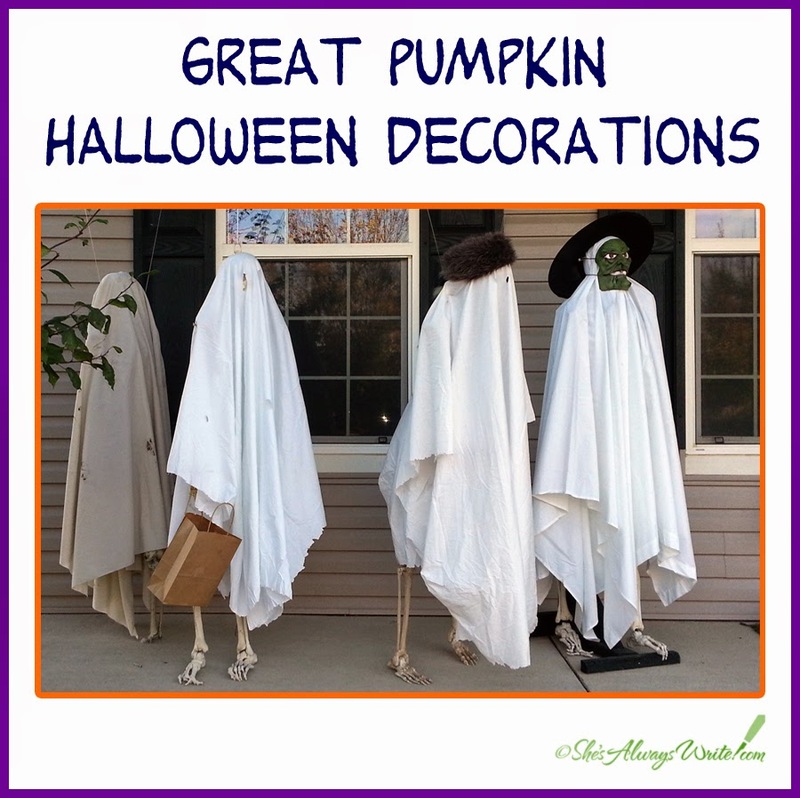 I pinned this post to my Canning, Crock Pot & Freezer food board. Shortly before he turned 2, Dude went through a phase where he threw himself at the TV while shrieking "Waaaaaaaannnntt Bwwwuuuuuueee!!!" 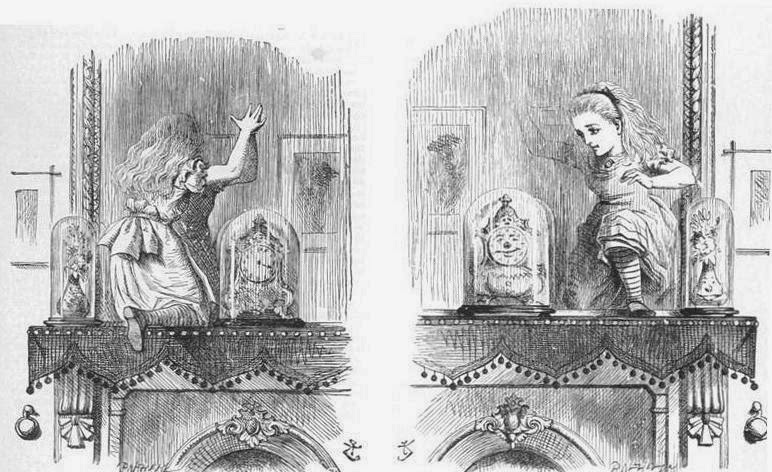 And slapping his hand on the wall a lot and shouting "Cwue!" 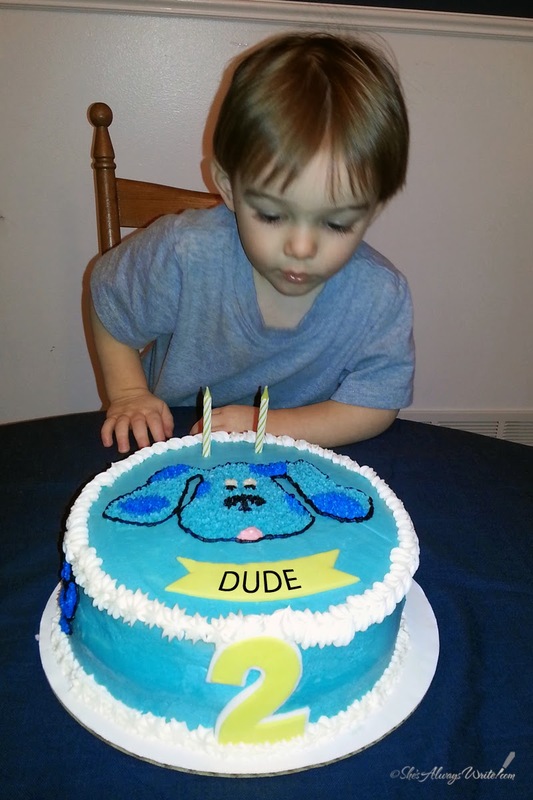 So I had a pretty good idea what to do for his 2nd birthday party. 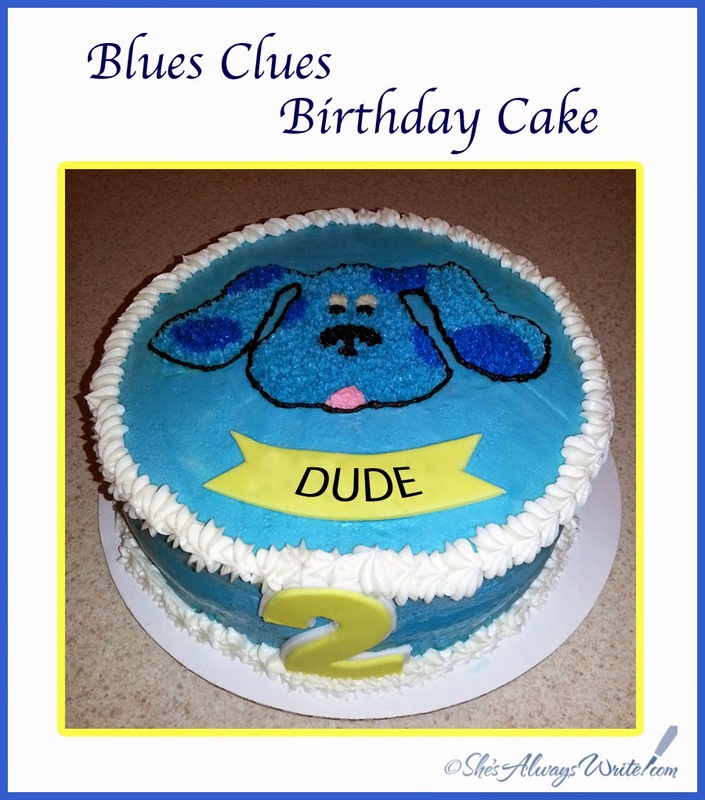 To tint the frosting, I sat one of the clue stickers in front of me and kept fiddling with my Wilton gel colors until it was close enough. For Blue's face, I used Photoshop to scale down the the template I found here - I traced around it with a toothpick. It's worth noting that I should have actually looked at a picture of Blue before I frosted, because in the show her nose is dark blue, not black. If I'd noticed that I'd also have done the outline to match the nose. I chose a font I liked for the number 2, blew it up in Word and printed it on card stock. Then it was easy to cut out and trace around in fondant with an Exacto knife. I didn't even have to print two sizes, I just eyeballed one of them bigger. The name banner represents the flag that Blue holds at the beginning of every show with the episode name on it. That shape was easy to freehand, though it would be easy enough to make a card stock template to trace in Word. 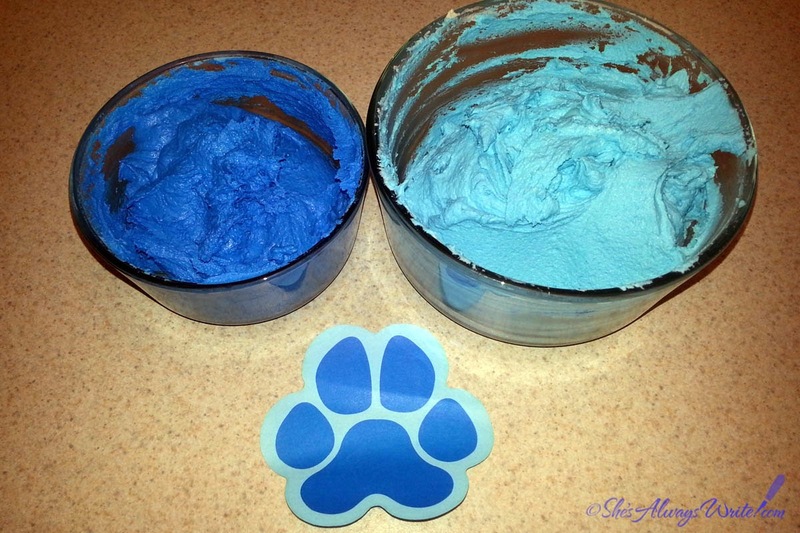 I also put 3 paw prints around the side of the cake - I just forgot to take a picture of them. Those I also traced with a toothpick around a card stock template I printed from a paw print image I found online. Dude talked a lot about Shovel and Pail, so I wanted them to make an appearance. Turns out? It's hard to find sand toys in late fall. Thank goodness for a kind eBay seller who deals in bulk 'assorted colors' plastic sand buckets. I emailed the seller to explain I needed the specific color combination for a Blues Clues birthday, and not only did they enthusiastically agree to help, they also tucked a few little Blues Clues freebies into the package (you can see the stickers poking out of the pail, that was one of them). For Shovel's face, I stared at a lot of pictures of him. Then I broke out the Sharpies and crossed my fingers. Finding Blue herself was a bit of a challenge, seeing as how the show has been off the air nearly a decade. But as luck would have it, thanks to global intellectual property theft our international partners in capitalism, you can readily obtain a shiny new Blue on eBay for a surprisingly reasonable price. Just plan ahead - shipping takes a few weeks. Dude was so very happy, and promptly ran off clutching his new best friend. Update: nearly a year later, after much of love and roughhousing, she's still holding up very well considering her questionable origins. 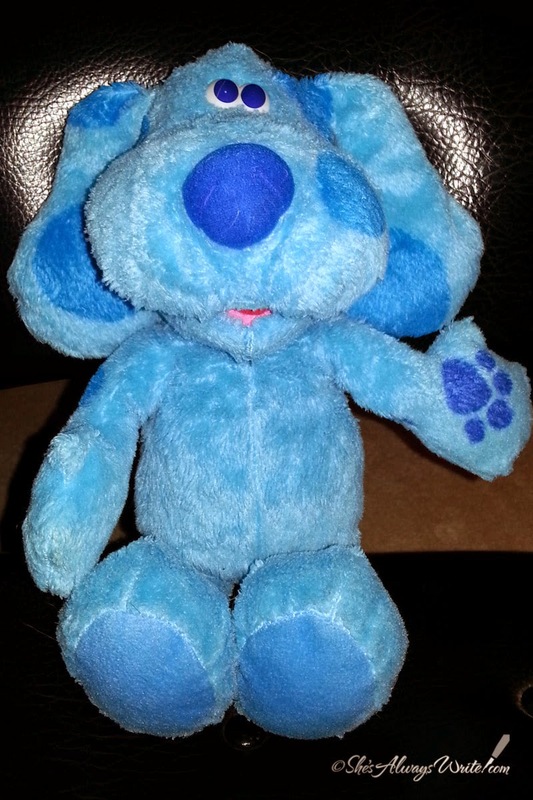 So if you child can't live without their very own Blue, it's worth the 15 bucks to eBay her from China. 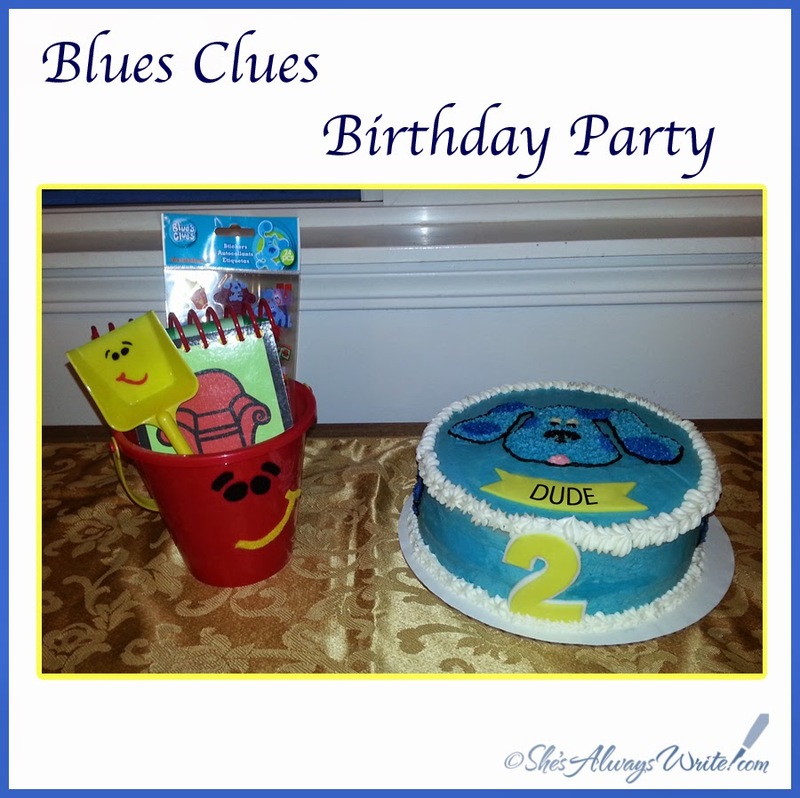 I pinned this post to my Blues Clues Birthday Party board and my cake decorating board. 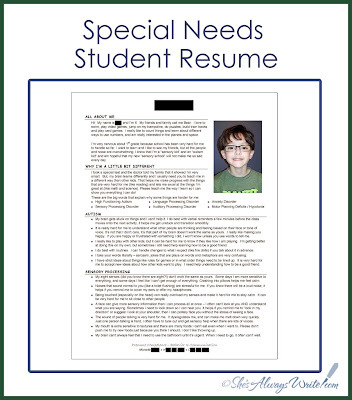 I knew when I wrote my original Getting To Know You: Special Needs Student Resume post that I would need to revise it as the years went by, because our kids have this sneaky habit of growing up and changing on us. So here we are again, staring down the start of a new school year. 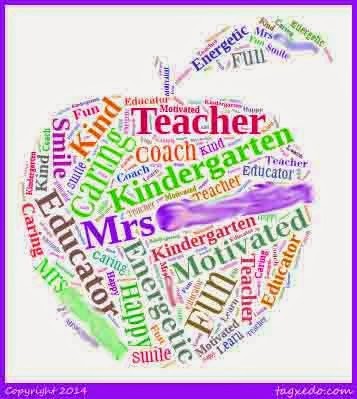 Most of us are have a shiny new pile of fears about how our kids will handle the transition to new schools, new teachers, new aids, new therapists, new classmates. Heck, I wasn't sure how mine would handle needing a new backpack (pause to thank the Powers That Be for Angry Birds Star Wars)! Each year we face the daunting task of communicating who they are and what they need to new instructors, plus updating familiar staff on how their needs have changed. But we accept the challenge because we want everyone in their lives to understand what wonderful people they are, and what they need to thrive. For our part, my older son is moving from his Gen Ed placement with a 1:1 to an outplacement at a school with a dedicated curriculum for autistic students, which we are both happy and sad about, for all the predictable reasons. And we're in EI transition planning with my younger son, which means moving him into the district in which my older son has been crashing and burning. So no worries there, right? He'll be getting his own version of this resume just in time for the dreaded 3rd birthday. All of this is why I developed the special needs student resume. And why I decided to share it with all y'all. And since I get most folks would rather chew off their own arm than write a resume, why I also created a free template to make it faster and easier to make your own. 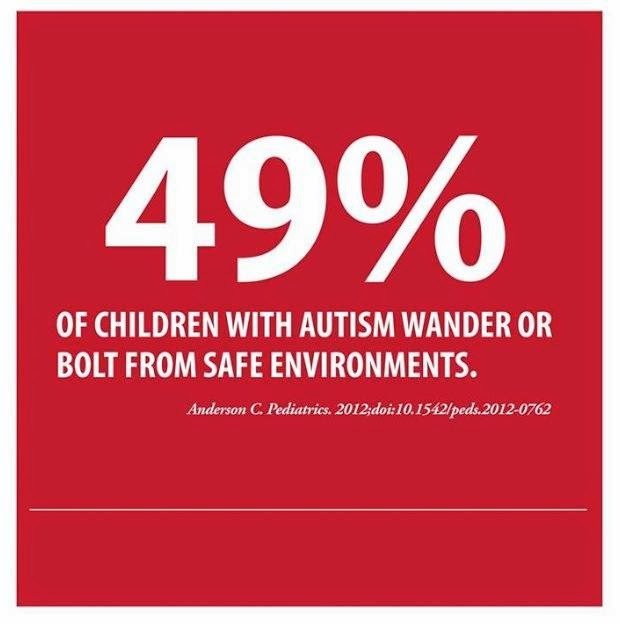 I pinned this post to my Autism and Sensory Processing Disorder board. "Introduce your Special Needs child to school staff with free student resume template by @ShesAlwaysWrite - http://bit.ly/1rdzCPd #Autism" Tweet this! 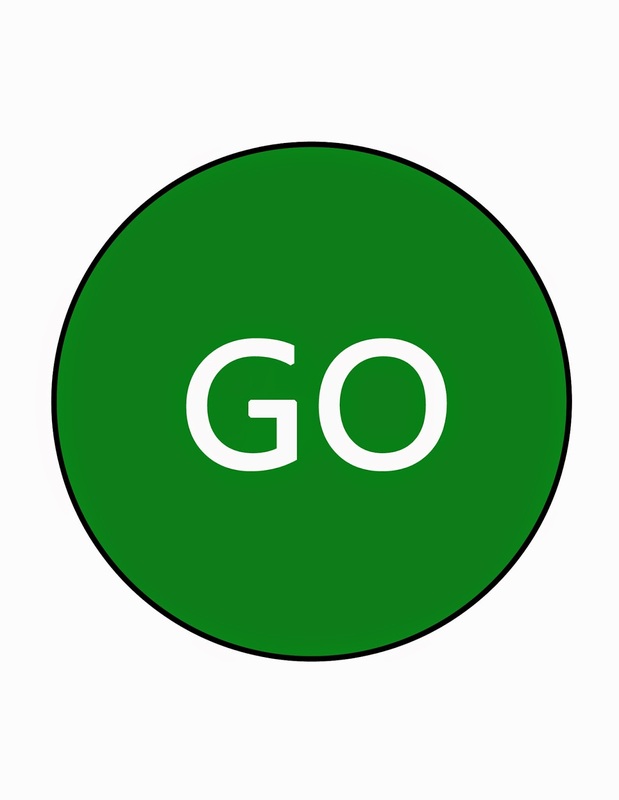 My toddler's OT recently started playing Stop and Go games with him. It was about the same time he started trying to elope and learned to open all the deadbolts, break child locks off door handles and pull furniture over to open the hotel lock, so I was certainly interested in anything that might help keep him safely indoors. With that in mind, I took the OT's advice and created Stop/Go signs for all the doors. I wasn't expecting much, but we diligently pointed the signs out to him each time we went through the door and talked about how we can only go outside when it's green. And how only a grownup can change it from red to green, because it took about 2 minute for him to give that a shot. We also make an extra big show of changing it from red to green on the back sliding glass door to distract him from our other hand slipping behind the drape and undoing the new lock he hasn't noticed yet. I have to say it's been surprisingly helpful. Within a week of starting to work on this he and I went for a walk around the neighborhood to check out the garage sales. He slipped my grasp and bolted towards one he saw halfway down the block. There was also a car coming, because of course. I yelled "STOP" because that's what a mom does when her toddler is running headlong into danger. To my absolute shock, he actually did. And waited for me to catch up. 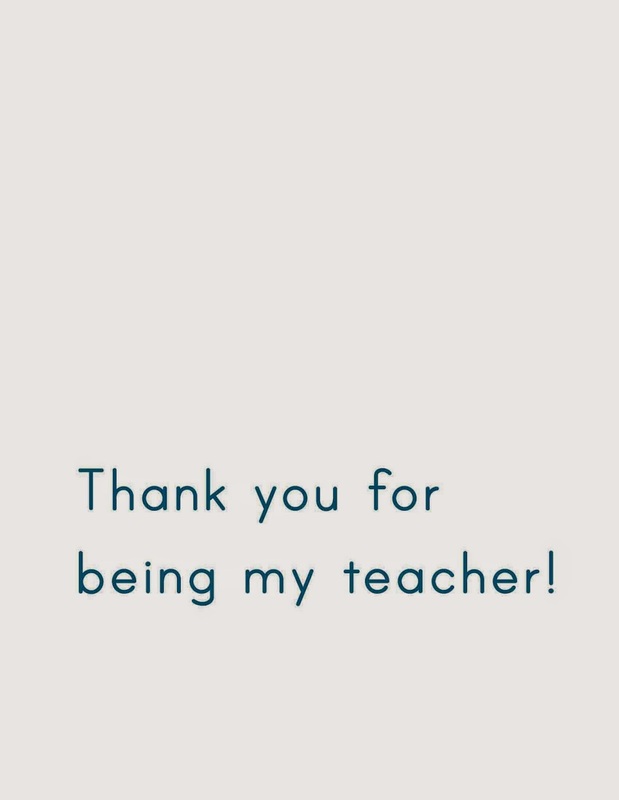 And when I got there and hugged him and the driver nodded to me they'd noticed what almost just happened, I quietly thanked our genius OT for teaching me how to teach him this. It's worked out so well for us I wanted to share the signs I made so you can give it a try at your house. They're sized for a standard letter size piece of paper. I recommend using card stock. 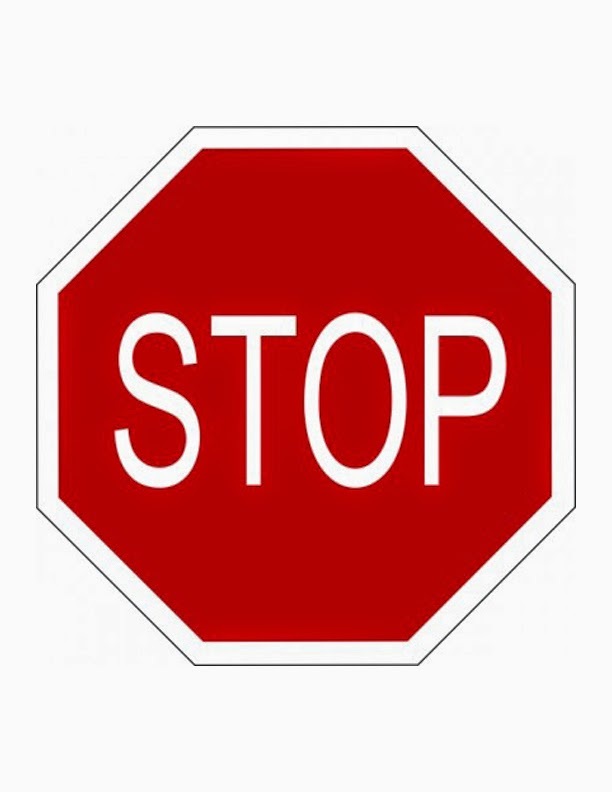 Download the free printable PDF Stop sign. They're aligned so you can print Stop, flip the page over and run through the printer again to get the Go centered within the Stop. 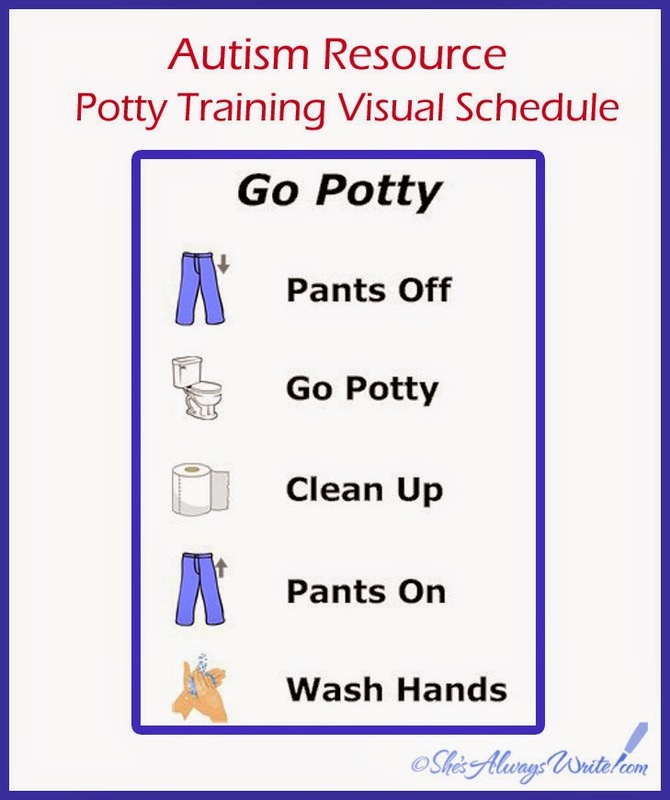 Download the free printable PDF Go sign. I purposely made two PDF files because I'm terrible about just hitting "print" and ending up with two pages of signs. By making myself open two files, I remember to pause between printing to flip the page over. I recommend laminating them so the hole punched area doesn't rip with repeated use. I used a hole punch and some yarn from the craft bin to hang them with. For the front door, I used a Command strip hook. (It's totally the one left over from hanging a Christmas wreath). For the back sliding glass door, I used a suction cup I found in the tub toy bin, but I bet a Command strip would work just as well. You'll have to experiment with height for your kids - we had to find a balance between high enough he couldn't keep pulling them down but low enough he could still see them well. I also made a spare without a hanging string to keep in the Regulation Station (someday I'll get around to blogging that). 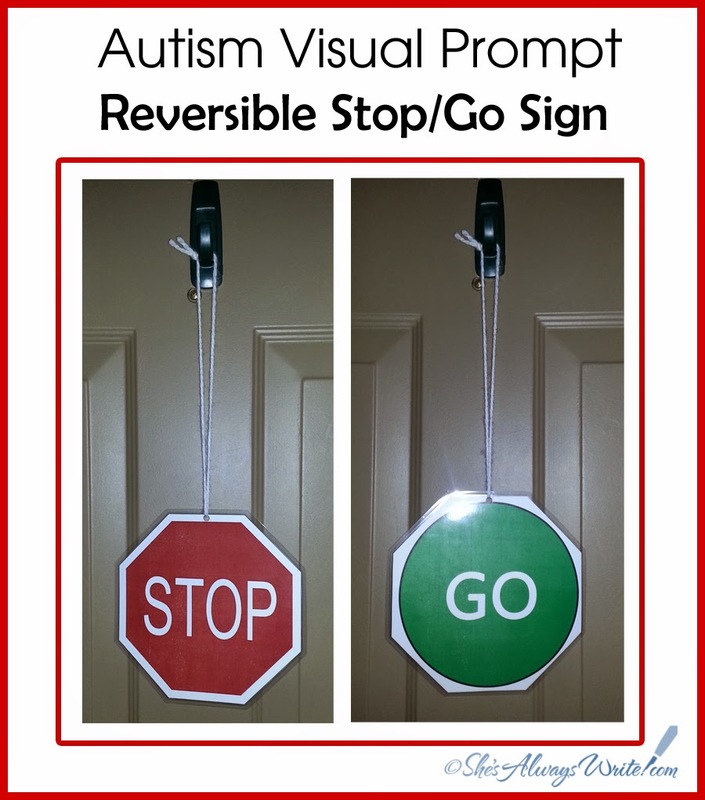 It's good for playing the Stop/Go games and grabbing when an impromptu visual is needed to get through the random situations that pop up with the kids. Bear was having a rough time coping with his little brother this morning, who was giving us all an especially hefty does of ear-splitting two-year-oldness. 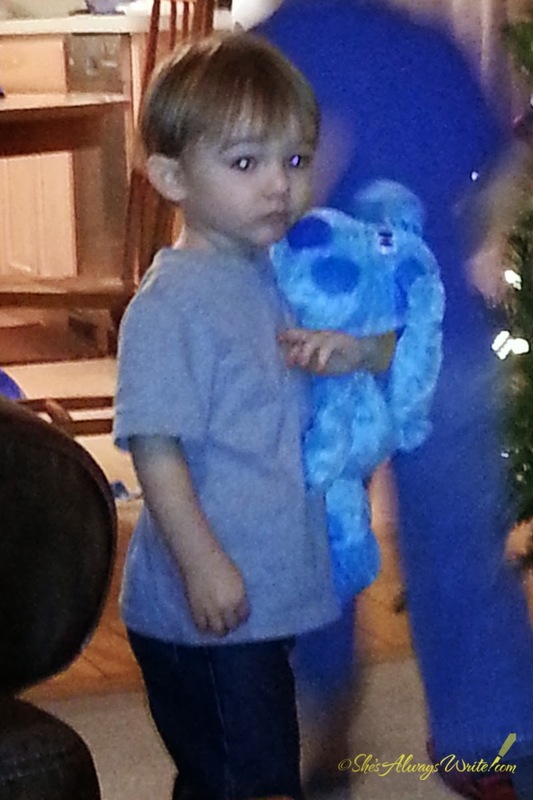 Bear got really quiet, then, almost in tears, he said "I want to say a mean word. It starts with s."
I gently asked him to come talk to me. Did a quick mental check of the angry words I sometimes let fly and vowed to do better. Wondered if he'd heard a new word at school. He sat on my lap and put his head on my shoulder while I told him I understood that it some days it can feel hard to have a little brother, assured him he wasn't in trouble, and asked him what word he felt like saying. Oh, my heart. I wish he could stay this sweet and innocent forever. The lemony cupcakes were a nice light treat for a spring themed event. 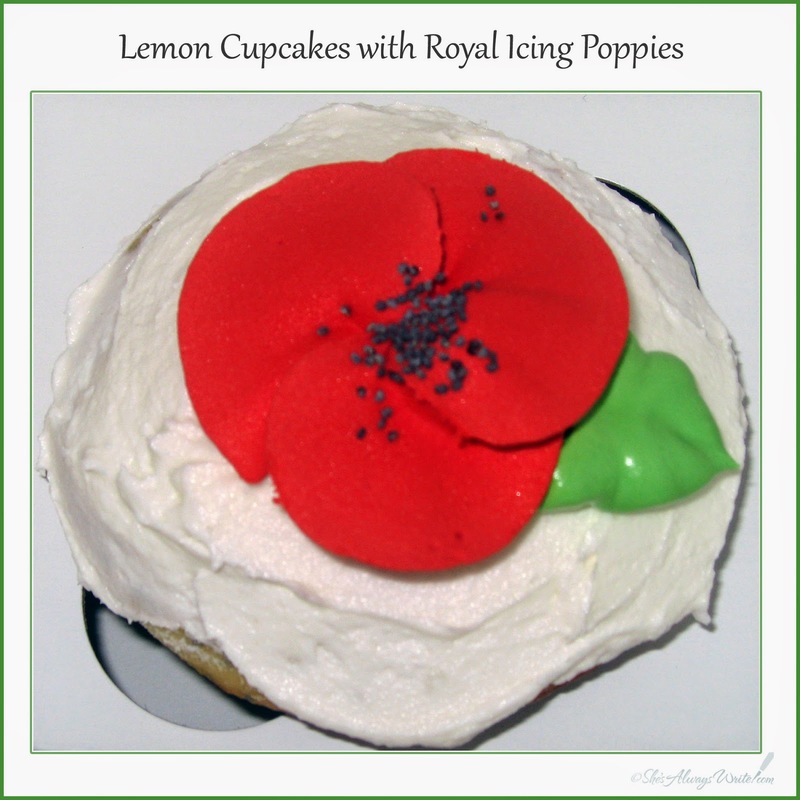 The poppies were the perfect level of difficulty for my entry level cake decorating skills. I'd clipped the concept from a Martha Stewart magazine ages ago and was excited for a chance to use it. This link is to the Martha Stewart website entry that coordinates with the original print article, and includes a video for how to pipe the poppies. The original recipe called for making the flowers with buttercream, but I needed them to stand up to transportation and sitting around in a high school gym for the bake sale. So I made royal icing with the recipe right off the can, and they came out great. Yes, I know I could have made royal icing from scratch, but let's be real - I was already making four dozen cupcakes for someone else's event. I was so proud of my big sheet trays full of painstakingly piped poppies. I totally took pictures, just like a good little blogger. Nope, I can't find them. 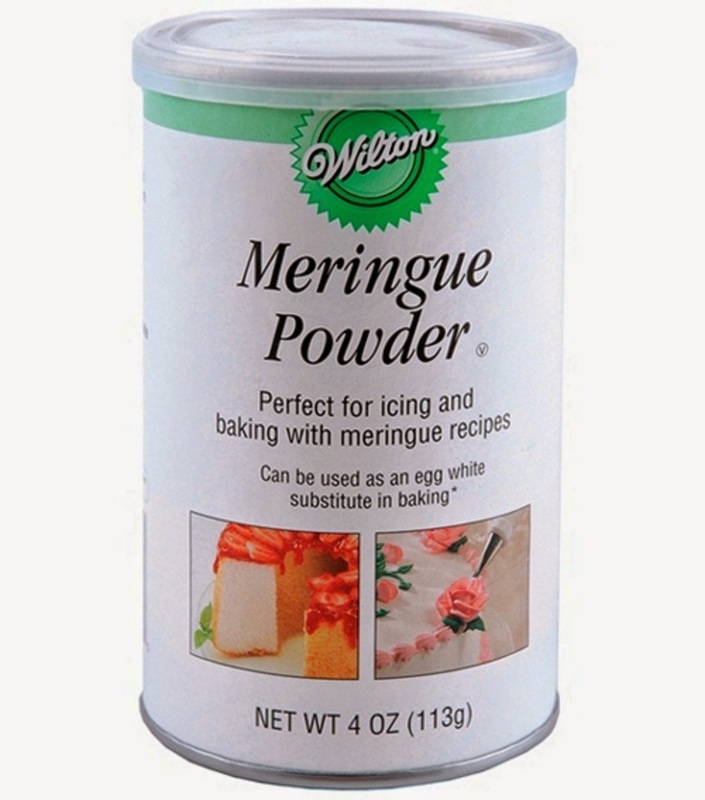 As you can see from the photo, I didn't get too fussy when I applied the base of white buttercream. Let's call it a deliberate design choice for a casual event. To keep them clean, transport them, make them easy to stack at the sale and easy for participants to carry home, I used individual cupcake boxes. I'm kind of in love with the individual cupcake box concept and am definitely looking for reasons to do it again. If you do a project like this, do not buy the cupcake boxes from your local craft or big box store. 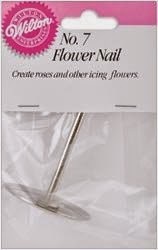 Retail, it can cost $7 for a package of 4. We used a online discount site and got a case of 100 for around $50, which is a pretty great deal. If profit margins are a concern for your bake sale, make sure to take that 50 cents per box into consideration. We essentially donated the boxes. My only goal here is to save someone else from the special hell that is trying to come up with ideas for a bake sale. These got priced at 2 bucks a pop. They're small and cheap enough to be the token purchase for the folks who don't want to buy something but feel really obligated to. And they're perfect for people who want to bring a little something home for their kids, but don't want to commit to a full size cake or a whole plate of cookies. 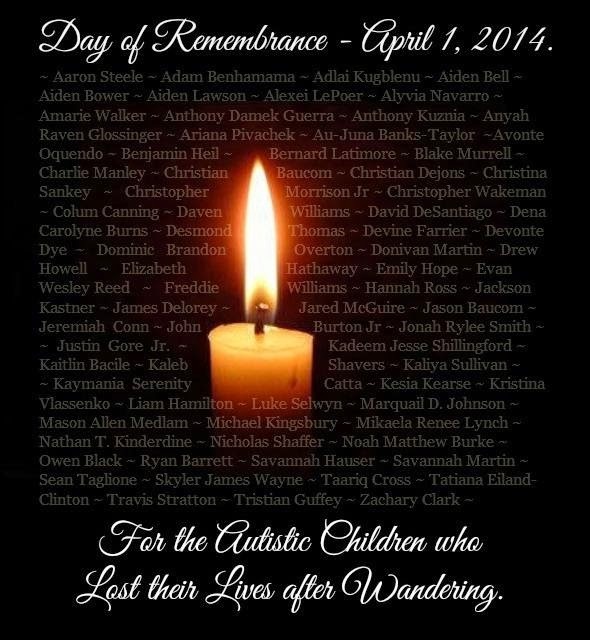 Today I join the community in remembering autistic children who lost their lives after wandering. This is not about pointing fingers or differing points of view. It's about respectfully acknowledging that these families are grieving for children who were deeply loved and are constantly missed. 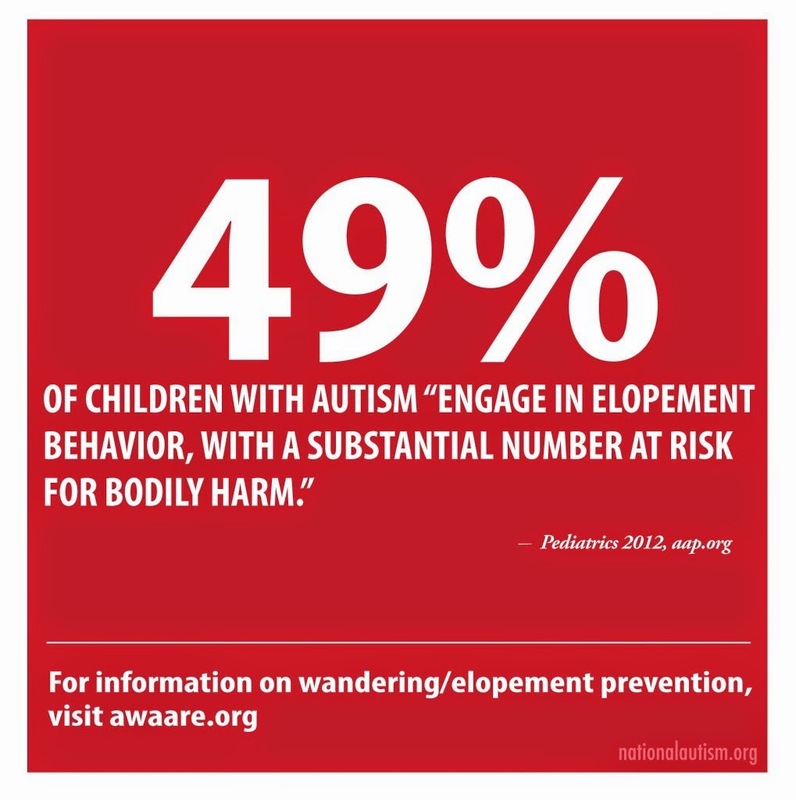 Wandering is a terrifying reality for many families with children on the spectrum, and the statistics demonstrate that wandering frequency increases in the springtime. Please keep the grieving families in your thoughts. And please keep an eye out for our kids. 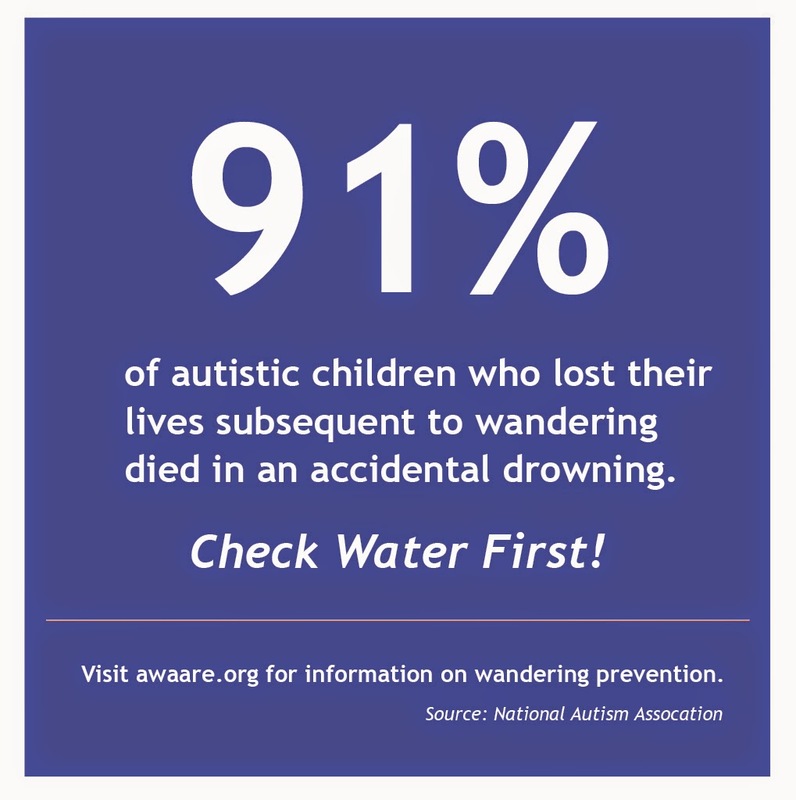 About our son's first wandering experience - before he got his ASD diagnosis and we knew wandering was a thing - and the type of ID we got for him. My initial post on the idea I had to make wandering awareness postcards to give our neighbors. The tutorial I wrote on making your own wandering awarness postcards after the hugely positive response I received to the concept. Includes free templates. One of the happiest moments of my life came recently when my 6 year old Bear asked if I would start reading Harry Potter to him. It's a moment that I - who's worn out more than one library card in my endless quest for the next great story - have waited for since I saw two lines on the pregnancy test. Not that I was waiting for Potter in particular. I have so many special friends, and will introduce them each in time. He's far too young for Adams or Tolkien or Heinlein. He's not yet emotionally mature enough to ponder the moral implications of Ender's end game. And while I think we're getting close, he's not quite ready to go through the looking glass or travel on a tesseract. Honestly, I wasn't completely sure he was ready for Rowling. But... and I may have my geek card revoked for admitting this... he'd already seen the first movie. I know. I know. It's a violation of the natural order of things. An abomination. 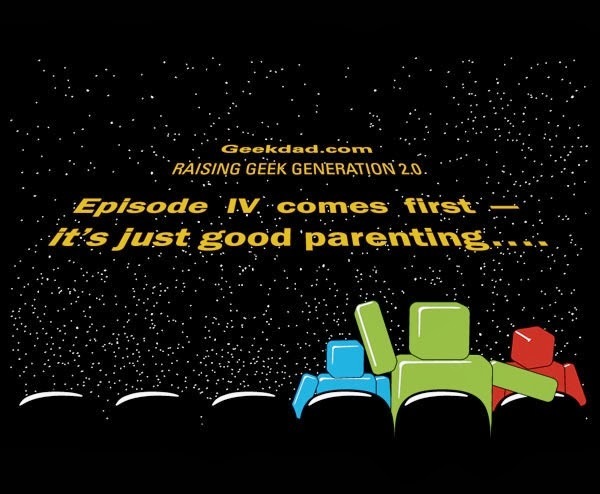 It's almost as bad as those people who don't show their kids Episode IV first. But Mommy needs her magic fix and leisurely reading time is in short supply. So, I cracked. I let my kid see The Philosopher's Sorcerer's Stone before reading the book. But... there's a but! A very important but! I only let him watch after talking about all the ways in which the book was better. (Yes, I'm one of those people. Let's do us both a favor and skip the part where you pretend to be surprised.) The thing is, he was really excited there's a book. And eventually, he asked me to read it to him. At which point my heart burst with happiness. Which brings us to actually reading it. Of course, I had my little fantasy of a freshly bejammied Bear, snuggled up with with his blankie, raptly listening as I read to him the story of The Boy Who Lived. "...As he pulled into number four, the first thing he saw - and it didn't improve his mood - was the tabby cat he'd spotted that morning. It was now sitting on his garden wall. 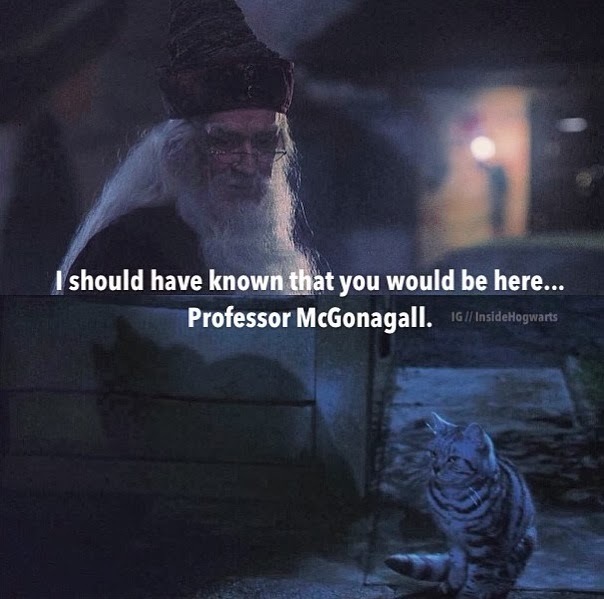 He was sure it was the same one; it had the same markings around its eyes." Bear: Why was the cat outside all day? Bear: Why didn't they let the cat into the house? What if it was hungry? Bear: Could they bring the cat some water? Bear: And why was it sitting on the wall? And where did the map go? Bear: What if the cat got cold? Bear: Don't they LIKE cats? It's been 3 weeks. We've made it through 3 chapters. 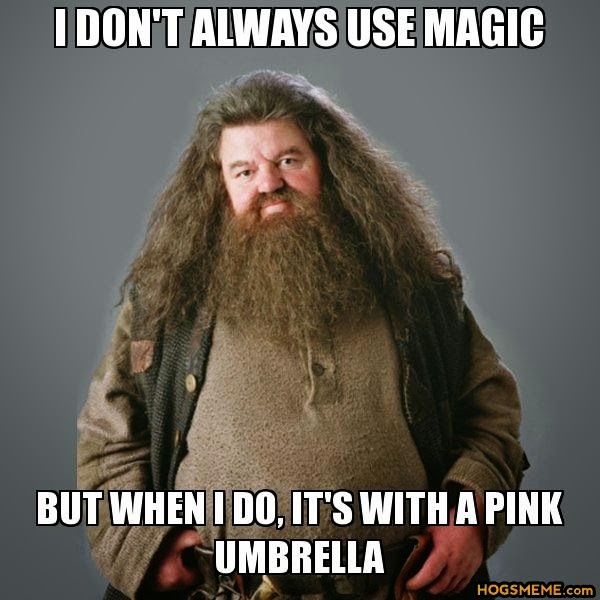 I haven't yet been able to start reading Chapter 4 - The Keeper of the Keys - to him because he won't stop asking when "Hagrid with the wand hiding in the pink umbrella" (say it real fast like it's one big name) is going to come get Harry. Valentine's Day is upon us. If you're anything like me, just last week you finally threw out the candy from the Advent calendar the kids got bored with halfway through December, and are still finding expired Halloween candy lurking in the hiding spots it got stashed in back when the trees still had leaves. Call me a curmudgeon, but I loathe the bags of cheap candy and crappy plastic toys that some misguided parent handbook is apparently insisting we send to school for holiday celebrations. 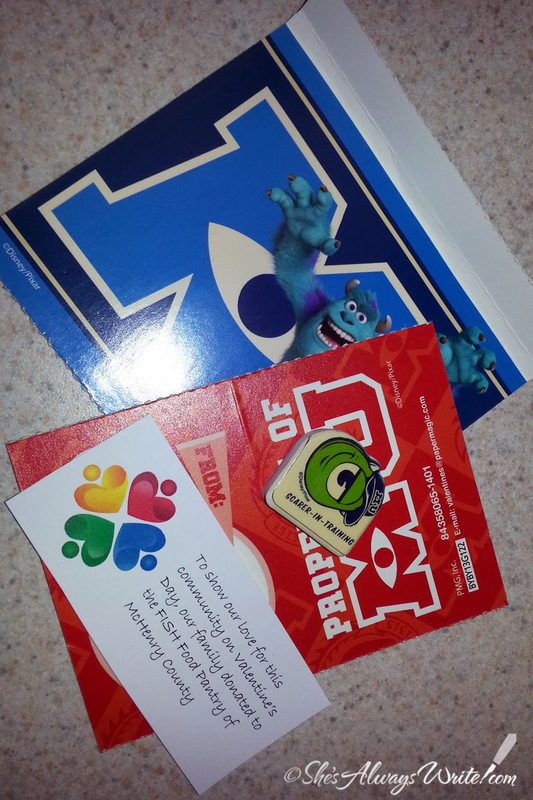 I'm not comfortable giving the kind of stuff to a room full of kids that I'd never consider giving to my own. I was chatting about this with a fellow mom, and she gave me this idea. I love it so much I decided to do it every time the kids are obligated to show up at school with something to pass out. I don't care if I get the reputation of being "one of THOSE moms." I firmly believe that on this topic, the status is not quo. The idea that people are blowing money on candy for these kids is particularly upsetting in our community, which has a significant population of families below the poverty line and a food pantry that can't always keep up. Our elementary school held a winter coat drive for their own students, so it was no surprise when the class newsletter asked if any of us can supply valentine cards for the kids whose families can't afford them. Which brings me to... this charitable alternative for school Valentines. Make a donation to your local food pantry. 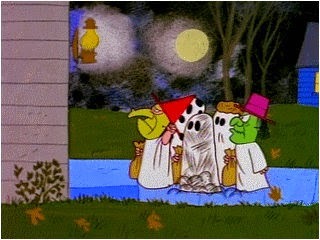 I give $25 because it's what I can afford, and it's about what I'd have to spend on bags of candy. If the donation site provides a field for it, I say it's in the name of Teacher's Name Xth grade class. Bonus: the donation is tax deductible. Make a sheet of little cards that says you made the donation. I use the Avery 5371 business card template built into Word because they're the perfect size. 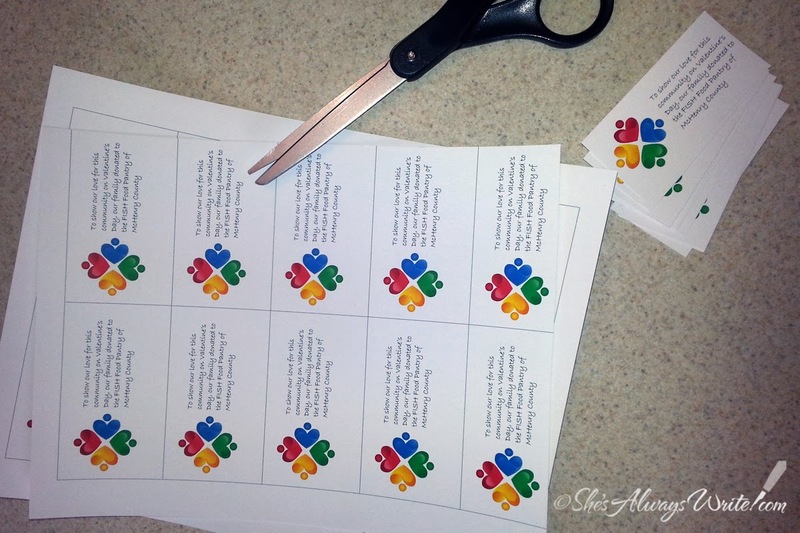 I print them on card stock and have my son help cut them out. Last year I made cards with the saying on the front, picked up a heart stamp in the dollar bin at Michael's and had my son stamp the back. This year I went with a nice graphic because there just wasn't time for anything else. 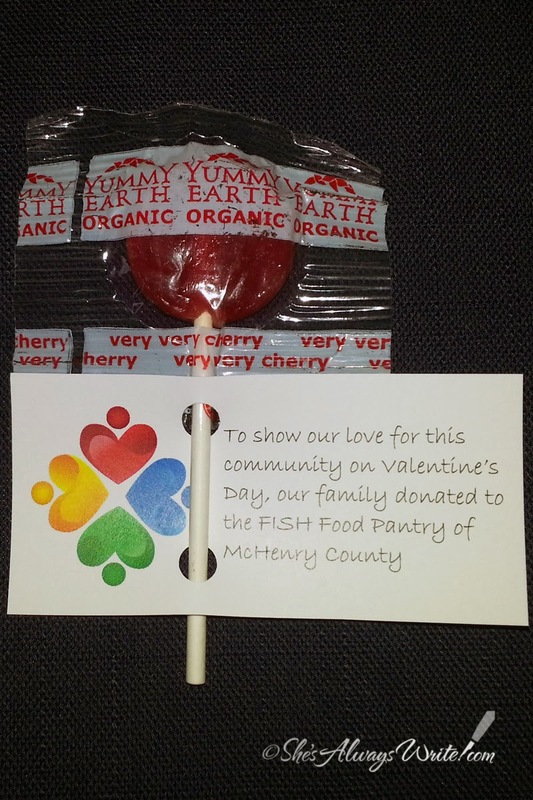 Download PDF - Charitable Valentine card template with a general "community food pantry" donation statement that can be used as is. Download Word Template (dotx) - Charitable Valentine card template in Microsoft Word with a space for you to insert the name of your local food pantry before printing. I thought I had a picture of the hand stamped cards from last year, but I can't find it. So here's what that looks like with this year's cards. Last year I threaded the lollipop stick through the pre-punched pencil slot style valentines alongside the pencil. 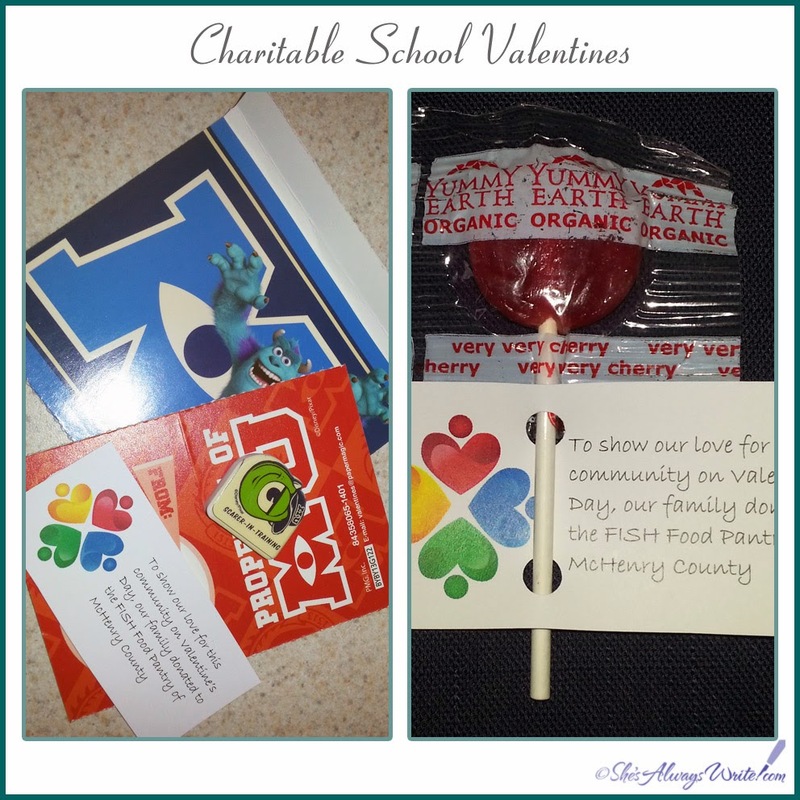 Tuck the donation card into the envelope of the kind of store-bought valentine card that comes in boxes including a small non-candy gift like a pencil, eraser or temporary tattoos. In a perfect world we'd make it a family project to create our own Valentines, but I live in the real world and sometimes you've just gotta buy the box of super hero cards and move on. This year I was sick for the two weeks leading up to V-Day, and found myself with only 48 hours to spare staring at the nearly empty Valentine display at my local superstore. I bought a box for us and a box to send to school for kids who needed them. I'm hoping the fact I also bought some for the kids with struggling families will keep Pinterest from revoking my membership card. The best way to eliminate the perception that this concept is a subtle insult from a holier-than-thou parent is to involve other parents. Send a note to the teacher early in the month asking if she'll talk to the kids about supporting families in need. Maybe even ask if the teacher is up for making it a class project to see how much you can raise. Do you have a class directory? Email all the other parents on February 1st and ask them to do this with you. 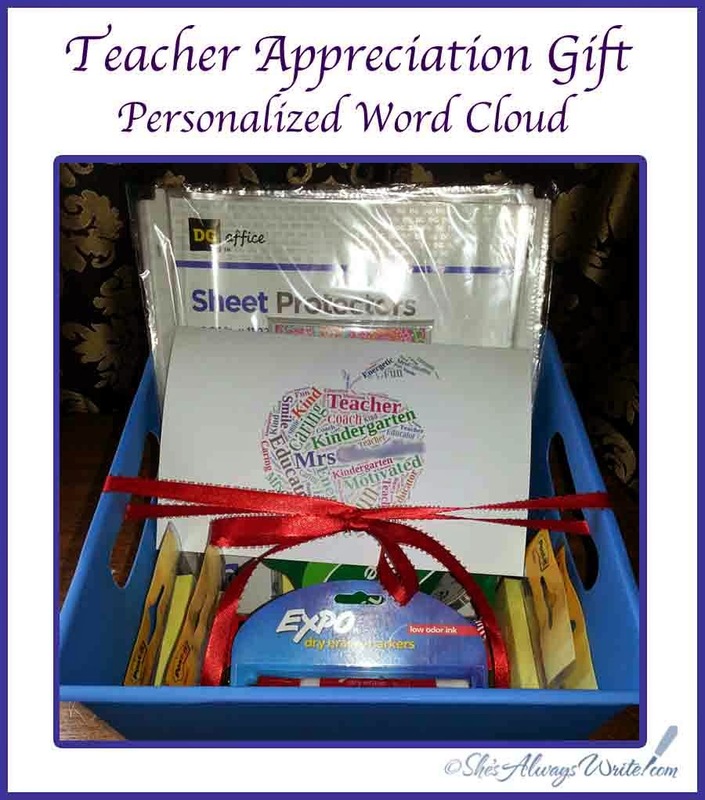 Send them the link to this post so they can download the free templates, or make one of your own and include it in the email. Send them a link to your local food pantry so they don't have to look for it. 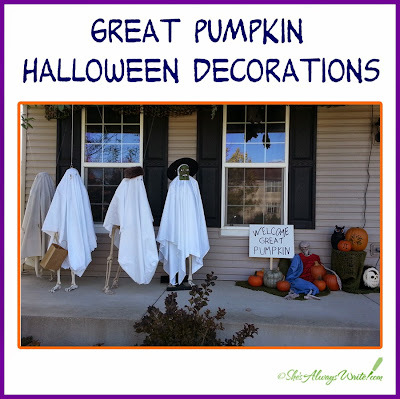 Point out that it takes less time and can cost less money than shopping for all that candy. When something is cheaper and easier and makes them look good, people are much more likely people are to do it. Not sure where donate? Here are some resources to help you identify your local food pantry. Feeding Illinois is the state association of 8 food banks serving the entire state, their site explains how you can donate or volunteer. They also link to the Take Action section at Feeding America, which provides information so you can advocate for hunger programs. FoodPantries.org is a great resource that lists all the food pantries in the country, organized by city and state.